It has been 2 months since we arrived the port of Tauranga, NZ and work has been quietly progressing. We have a faithful small crew on board patiently dismantling the aft cabins soon to be renovated to become a multipurpose medical facility onboard. We dream of providing dentistry, primary health care and optometry next year as we focus on the islands of Vanuatu as an initial step into getting this new vessel of mercy a 5 month dry run next year. But till then we are calling on volunteers to join us. Carpenters, fitters and welders, engineers and deck people, and just ordinary men and women and youth willing to get their hands dirty and be part of the change process both on the ship and the people we are preparing to serve in the most remote and isolated islands of the liquid continent in the south pacific. We are also looking to corporate sponsors to help in gifts in kind like lumber, steel, tools and engineering supplies as we renovate within and without the ship. Our dream is to make ready the Pacific Hope to sail from the port of Tauranga and represent this generous city to the nations of the Pacific in the years to come. 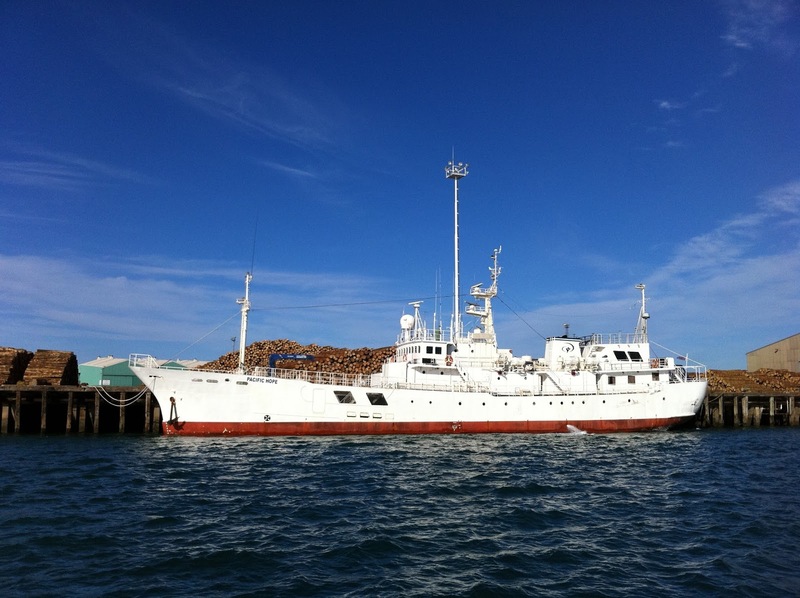 It would take this city and its generous people to help restore this vessel so we can begin to restore someone's eyesight by a simple Cataract Surgery or simply providing a pair of reading or prescription eye glasses so they can just see and read again. If you are just wanting to serve in any capacity there is always room to be part of the work onboard. It has been 23 years since Marine Reach and the first ship was launched from our beautiful city with over 360,000 people reached with free medical health care with a real world value of over $43 million dollars. So we launch 'Project Hope - Sail for Change', as the words aptly denotes, our mission is to bring hope and change in people lives that otherwise won't receive it because of their situation and location. Come and join us and get your feet wet and perhaps you too are called to jump in and be immersed.